When you want to cut above the rest, you need the right product and know how to use it. Though the most common size for a regular size circular saw is 7 ¼ inch., not all tasks require a large blade.You can’t always go big or go home, not when you need intricate cuts or are in confined spaces. Read our detailed review below or check prices on Amazon. The people at SFGate say that the typical small circular blades are 3 ¼ or 4 ¼ inches. Smaller blades meant for cutting trim, plywood, molding, or any other items that are no thicker than ½ inch. These little guys will cut without any issue of chipping like their big brothers. What you should consider next, is the style of the saw. Circular saws come in two forms, sidewinder, and worm-drive. The sidewinder’s blade is on the right-hand side of the saw, with the handle positioned up high above it. Worm-drive blades are on the left, which are more easily seen by right-handed users. The design of a worm-drive is short and long, with the handle positioned behind the blade. According to an article by the Spruce, worm-drives may have more torque than sidewinders, but they are heavier. Sidewinders are cheaper, lighter and spin faster. They even made the statement that a decent sidewinder is best for a home workshop. Faster and stronger can be so much fun, but it isn’t always what the job needs. I know, buzzkill. You would think that amps, volts or torque would be the best ways to determine the best power ratings for your motor. This Old House Magazine disputes that, stating it is misleading. The torque ratings might not be the same under working conditions as in the initial testing where the readings recorded. Amps are the only amount of electricity drawn by the motor, not the power it gives to the blade. They say that price is the post reliable indicator of power. Advising that in compact circular saw reviews dependable sidewinders do not start anywhere below $100, professional grade quality runs between $125 and $150, and a decent worm-drive goes at least $200. With that, those should last until your apprentices are ready to take them over and make you cry. With that being said, we have found the best compact circular saw for the most affordable price. Do you want battery power or wall power? It is a tougher choice than you think, both closely matched in pros and cons. Corded models can go as long of a stretch as you need them to and provide more torque with a constant power source. The best portable circular circular saw (cordless) are more expensive, have limited run time, but you can move where you need to without entanglements. When working on an outside project, like a treehouse, cordless might be the way to go. This is the last, but most important aspect to look for when picking up your best mini circular saw. Not all of us have big strong arms or have wrists that work as good as they used to anymore, but that doesn’t mean that we can’t do everything we want to do. Make sure to to pay attention to the best mini circular saw weight to account for heft and balance of the machine and how the handle may fit your hand. 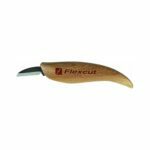 Take into account the position of the blade and its visibility while you would be cutting. Also, look for the run-down on the adjustment components. You do not want to buy a product and receive it only to end up injuring yourself with it being too heavy or hurting when you put pressure on it to cut. If you are comfortable with everything, including the price, then you have your new toy! This lightweight, compact tool is small enough to be operated with just one hand, but powerful enough to rip through two-by-fours in a single pass. With a 4 and a half inch blade, this Worx saw is about half as large, and has about half the weight, of a traditional circular saw. It runs at 120v and is equipped with a sturdy power cord. The Worx WX429L weighs in at just six pounds, making it easy to handle. A thoughtful and straightforward design makes the saw easy to control and operate even for those with smaller hands. WORX top selling best compact circular saw is widely recognized for its impression made among all mini circular saw reviews. Check out prices on Amazon or read our review below! The ergonomic design places the trigger further back on the handle than many models, to encourage a safe and well-balanced grip. At around $70, the Worx saw is really a bargain. In spite of what you may assume based on its lightness, this saw has a sturdy, high-quality build that makes it a durable and resilient addition to any work shop. The saw has a stamped metal shoe to ensure stability and accuracy, while the shroud and body are made of high-quality plastic, to keep things light. A particularly useful feature of the Worx compact circular saw, not often seen in smaller saws, is a rotatable vacuum port which can be attached to a shop vac to clear away sawdust and debris as you work. Not only does a clean workspace make it easier to cut accurately, but it saves your lungs and eyes from the dust that can build up, particularly in an enclosed workspace. This makes the Worx compact circular saw perhaps the best handheld saw for working indoors. tool, and allows this best mini circular saw to match the speed and performance of a full sized model. The blade can be adjusted for a cut depth of up to 2”, and easy to adjust bevel settings let you cut at any angle from 0 to 45 degrees. The depth lever and bevel adjustment are both incredibly straightforward to work with, and offer exceptional accuracy. The blade of the Worx saw is left-sided. This allows for a better view of the cut line as you work, making it easy to get precision cuts every time. While the great design of the Worx best compact circular saw does place it among the best small circular saw for sale, as most mini circular saw reviews will tell you, this tool does not match the power of a full-sized circular saw, and shouldn’t be considered a straight replacement for that tool. The smaller Worx saw is fantastic for cross-cuts or shorter boards, but will get a bit bogged down doing longer cuts. If you anticipate having to do such heavy duty work, it makes sense to have a heavier duty tool. However, the versatility and convenience of the Worx saw make it a valuable addition to any DIYer or hobbyists arsenal. The Rockwell compact circular saw is a small but powerful tool. With a 5-amp electric motor, it gets up to 3 500 rpm – matching the performance of full-sized circular saws. A lightweight build keeps the saw at an easy to handle five pounds, making this compact circular tool great for cross cutting, bevels, or any work where deftness and maneuverability are as needed as brute force. It has a slim grip design that makes it easy to operate with just one hand, and the low weight means it can be safely used even when making overhead cuts. It’s considerably easier to transport than a full-sized saw, and can easily be packed into a tool bag and brought wherever you work takes you. The thinner, smaller blade of Rockwell’s compact saw measures at four and a half inches in diameter. It offers a cut capacity of just under 2” when operating at 90 degrees. At a 45 degree bevel it can cut at a depth of one and one eighth inches. The bevel settings are accurate, and designed for easy, quick adjustment. The included carbide tipped blade is designed for work with wood, but the saw has the power to tackle ceramic and stone if you purchase an appropriate masonry blade. The Rockwell comes with a dust collection port, with a vacuum adapter included to help you connect to a standard shop vac. Between this and the left-sided blade design, the Rockwell compact circular saw offers exceptional visibility while you work. This allows you to make accurate cuts safely and easily, every time. One flaw that some users have noted is that the metal shoe has a bit more give that you would see in a heavier duty tool. 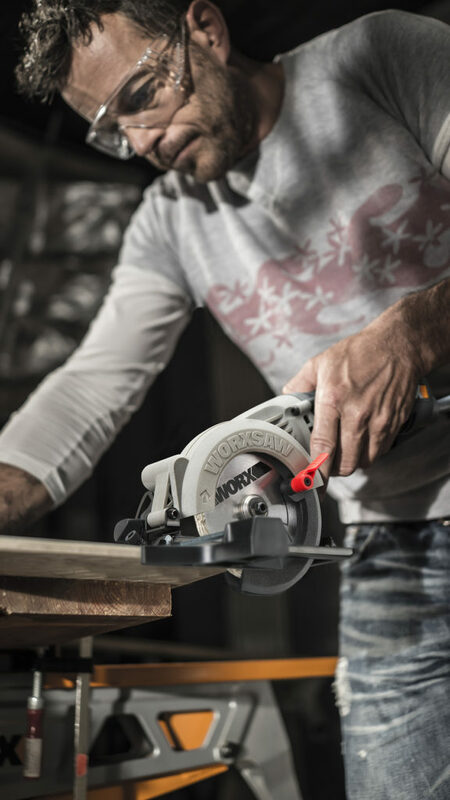 Most honest compact circular saw reviews will admit that these has to be some trade-off between compactness, price, and durability, and the Rockwell is not an exception to this. The culprit seems to be slightly flimsy attachment points – a pin at the front and a rivet at the back. While most users didn’t find that this significantly impacted accuracy, it is fairly easy to modify the tool to replace these attachment points with heavier screws. 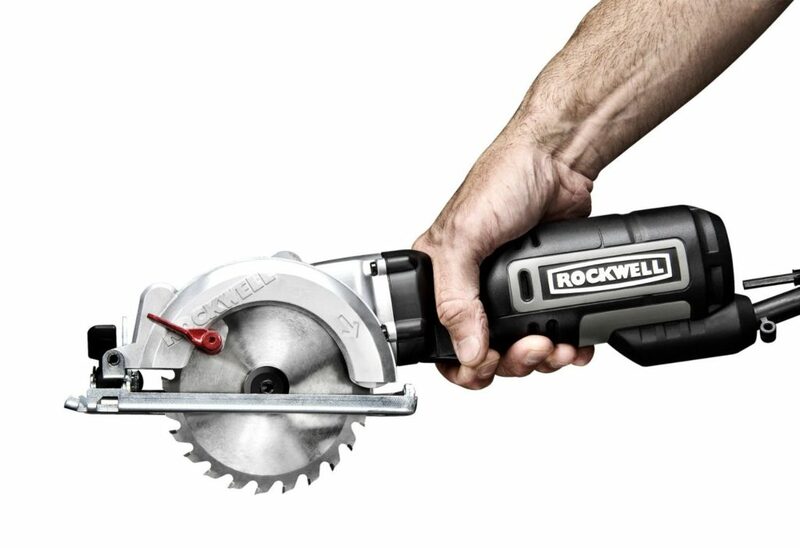 While Rockwell does boast that their compact model can replace a full-size circular tool, this may be a bit of a generous claim. It’s certainly true that the Rockwell compact punches well above its weight but, while you will probably find your full-sized saw sitting on the shelf more than it used to, there are some jobs that a full-sized saw will always be better suited to tackling. Particularly if you anticipate working with thick material or making a lot of long cuts. Nonetheless, the Rockwell tool is great with conventional processed lumber, which will usually have a thickness of 2” at the most. While it can’t take on everything a full-sized saw can handle, it offers more than enough power to meet the needs of most projects that hobbyists face, and even many of the demands of a professional job site. It’s a great tool particularly for DIYers, and with a lower price point and a more convenient size, it’s probably a better buy for anyone not expecting to come up against more heavy duty challenges. This best handheld saw by Black & Decker in this mini circular saw review boasts a considerable amount of power in a remarkably compact frame. It’s operated by a 20V Lithium-Ion battery, which is interchangeable with the rest of Black & Decker’s 20V Max system. At around six pounds and 14 x 8 x 9 inches, it’s a light and maneuverable tool that’s great for working overhead or in tight spaces. The lack of a cord makes it easy and convenient to use in a diverse array of situations. There’s no need to worry about an external power source or a cord getting in the way with this best compact circular saw. You can simply pack it in a tool bag and go wherever you need to work. The five and a half inch blade is significantly smaller and lighter than a full-sized blade, but a little larger than what you’d find in most corded compact circular saws. This gives it a cut depth of one and seven eighths of an inch at 90 degrees. The bevel can be easily adjusted to up to 45 degrees. While it boasts an easy to operate tool-free depth adjustment system, users should be aware that the depth indicators tend to be a little off the mark. While the saw is still perfectly usable, learning how to gauge the accurate depth may take a little trial and error as you get used to the tool. The light weight and ergonomically designed over handle mean that this best small circular saw can be used for hours without tiring out your arms. The capacity of Black & Decker’s 2X 20V batteries will keep the saw going about as long as you can stand it. The convenience of batteries make a battery-powered saw the best small circular saw for sale when it comes to ease and portability. The lack of a tether means that you’re free of many of the concerns of a corded tool. However, users should always be aware that batteries come with their own limitations. They will start to run down after a while, and it’s always good to have a charged spare for safety. While this is done easily enough, it will add to the overall cost of your tool. The cut capacity and the 3 700 rpms of this Black & Decker compact saw make it more than adequate for most small jobs and DIY projects, but there’s no getting around the fact that this tool is simply not meant for heavy duty work. While it won’t stand up to many of the demands of a professional job site, this is a great saw for anyone who wants something less bulky to take on smaller jobs around the house, the workshop, or out in the bush. With the SH01W, Makita have produced an incredibly compact and lightweight tool which is perfect for repairs and other small DIY jobs. This battery-operated featherweight tool weighs just 3.3 pounds and can be maneuvered easily with one hand, even by those on the smaller side. It measures at an almost unbelievably small 8 x 7 x 7 inches, but this best mini circular saw is no toy. It’s a serious tool designed to the high standards of quality that the Makita name has become renowned for. 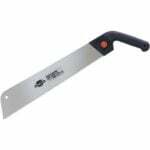 The one inch cutting capacity of the three and three eighths inch blade makes it great for ripping through drywall, plywood, melamine, and many other construction materials. A tilting base lets you adjust the bevel of the blade anywhere from 0 to 45 degrees – with a five eighths cut depth on a 45 degree angle. The motor powers the blade along at 1 400 rpm, allowing you to quickly rip thorough lighter grade lumber and construction material. In a thoughtful touch for a saw of this size, Makita also includes a built in dust blower, which will keep your cut line free of dust and debris. This increased visibility boosts the safety and accuracy of the saw as you work. The Makita SH01W is powered by 12V Lithium-Ion batteries. While there are heavier duty battery-powered models out there, for the size and scale of the SH01W, the 12Vs give you more than enough power. A significant advantage of these batteries is their reduced charge time – they take just 50 minutes to charge fully. This means that your work day doesn’t have to end when your battery life does, just pop it in the charger while you break for lunch. Environmentally-conscious users will also be happy to hear that Makita’s charging system meets the strict guidelines on energy efficiency which have earned it the Energy Star label. The kit even includes two batteries, a thoughtful feature because, as anyone who’s used battery-powered tools can tell you, having a spare on hand can be a lifesaver. With its small body and blade, the Makita SH01W is obviously not designed for ripping through heavy 2 x 4s and certainly can’t do the same jobs as a full-sized circular saw. However, the portability and maneuverability of this tool allow it to do many jobs where a larger and more cumbersome saw would be out of place. It’s great for cutting panelling and drywall a with its comfortable grip and light weight this may be the best small circular saw for doing small repairs or carpentry projects where you don’t want or need to deal with the hassle of a larger tool. It can easily and safely be used overhead or in tight spaces where a larger tool wouldn’t fit. It can be particularly handy getting through drywall or dealing with tight corner spaces in flooring and tiling projects. Overall, the compact but powerful Makita SH01W makes a useful and versatile addition to any handy person’s toolkit. Makita’s SH02R1 12V Cordless Circular Saw adds a little more power and a little more heft to their already best compact circular saw design. At three and a half pounds, it’s just a hair heavier than previous models, but still a featherweight when it comes to power tools. It has a slightly modified design compared to the older SH01W, with a sharper angle on the handle to let you put a bit more power behind the blade. The major innovation over Makita’s previous cordless tools is the new battery system included in the SH02R1. While previous models used pod-style lithium-ion batteries, the SH02R1 comes equipped with two of Makita’s new line of slide-style CXT 12V batteries. Makita making the change to slide-style batteries will be welcome news to anyone familiar with Makita’s line of cordless tools, as the difficulties associated with pod-style batteries were one of the few frequent complaints leveled against the otherwise very well-received tools. With previous models, users often found that when their saw was new, the clips securing the pod-style batteries were extremely tight, making it a bit of an ordeal to pry out the battery pack. Conversely, users also found that over time the clips would wear down and become too loose or even snap off. The new battery style has batteries which easily slide in and out at the end of the handle, avoiding the previous problems. The SH02R1 comes with two 12V 2.0 Ah batteries, though the CXT sliding battery style is also compatible with Makita’s 12V 4.0 Ah batteries for a longer run time. In another much-needed innovation, the new batteries also feature an onboard LED charge indicator, to let you know well in advance when you need to replace or charge your battery. While switching over to the new battery style may be annoying for those who would like this new saw to be compatible with their old Makita tools, this smarter design is an investment that will pay off in the long term. Batteries aside, the SH02R1 offers the high performance, power, and convenience that anyone familiar with Makita’s cordless tools would expect. A built in dust blower and LED light keep your cut line clear and illuminated, for maximum visibility and accuracy. Up to 1 500 rpms ensure fast, powerful cutting. Its three and three eighths inch blade has a one inch capacity for taking on plywood, drywall, and other light construction material. Like previous models, it features a tilting base that allows the SH02R1 to be used on a bevel of up to 45 degrees. The light weight and small size make the SH02R1 extremely maneuverable. It’s fantastic for working overhead or in cramped spaces, and can get you places a heavier, bulkier tool just can’t. Again Makita has produced perhaps the best handheld saw for small carpentry projects, or tackling the more finicky parts of flooring, panelling, and fencing jobs. All in all this is an excellent, flexible tool for DIYers, hobbyists, or anyone taking on repairs. You have found the best mini circular saw and wanted to get to work right away. You’ll get there, and you just need to make sure that you take the proper safety precautions before you do. The Canadian Care Centre for Occupational Health and Safety (CCOHS) circular starts you off in the right direction. Before cutting, you should put on safety glasses or goggles, with the option of a face shield to go along with them. Wear a respirator or dust mask to minimize exposure to harmful specks of dust. Ear plugs or sound canceling headphones are a good idea due to the high concentration of noise. Verify the retractable lower blade guard works freely and that the best mini circular saw you are using is sharp enough to complete your task. Test the saw for accurate blade rotation. While saw is unplugged, set blade depth where lowest tooth is not extended more than 0.3 cm (1/8 inch) beneath wood. Inspect materials and remove all nails before cutting. Clear all cords away from cutting space. Unfortunately, circular saws designed for right-handed people. Left-handed people will have to be more aware and careful when operating. Lefties just get it bad all over. The University of Hawaii published a list of everything you need to know for care and safety while using a circular saw. Keep your body positioned at either side of the best compact circular saw and your hands away from the cutting area behind. Kickback may result with the saw jumping backward over your hand. Your second hand must always be on the auxiliary handle, or the motor housing, not anywhere near the blade. Don’t put your hand under what you are working on or try to remove the cut pieces while the blade is moving. Support your cutting material properly and grip the saw firm to keep control. DO NOT use parts of your body as supports for your cutting materials. Ensure the blade is sharp as well as keeping materials supported to prevent kickback. The saw should be running at full speed before starting your cut. Do not turn it off until after the cut is complete and do not move the blade anywhere until it stops moving. At the very least, follow the basic ideals of safety when working with your hands and follow the instructions included with your saw. Nobody likes this part, but when you spend the money for the best small circular saw, you want to have it for a while. That means taking care of your blades. The blade is what can make and break your saw. Of you are cutting with a dull blade, there is the chance it will either kick back or burn out your motor. Neither one is something you want. If they seem to be in disrepair or dulling, they may need to be sharpened or replaced. There are times, all you need to do is clean the blade. When in use, pitch and resin can build on cutting edges of the blades. It tends to give a coating over the sides which makes the blade act as if it were dull. The Spruce recommends, regardless of how much you use the saw, which you should clean it 2 to 3 times a year while taking a close look at the carbide tips. Different types of cleaners can be utilized to clean them. The household citrus cleaner works fine. Other tradesmen have used oven cleaners, but blade manufacturers say the harsh chemicals can harm the carbide tips. The most effective cleaner recommended for the best small circular saw is Simple Green, manufactured as a degreaser for cleaning anything. No wire brushes when cleaning the blades, nylon or brass are best. When everything is nice and clean, it should be put away in a place that is dry. Otherwise, everything gets rusty. So there you have it! Everything you need to know when buying, being safe with and maintaining small circular saws. Remember safety is your priority. Second is measure twice, cut once. The third is post pictures of your accomplishments! That wraps up our best compact circular saw reviews, so don’t wait and find a small circular saw for sale today!